My culture-vulture avatar is a recent self discovery. Well, not really that recent! Until about five years ago, peeking into culture and traditions wasn’t something that spiked my interest. The motive behind every trip was to see Nature in her glory; and I enjoyed every single one of those trips. Now, after having travelled to many more places, I feel that I would have ‘grown’ a lot more had I taken the effort to witness a dance performance or join a cookery class. Ankur’s story is no different. Now, as a slightly more mature travellers, we make sure that we capture a snippet of local music and dance, whenever and wherever possible. We have enjoyed a one hour Kathakali dance performance in a cultural center in Kochi (India) as much as we have enjoyed a belly dance performance with a drink on coast of the Dead Sea (Jordan). There are plenty of things to do in Bali. As we wandered through the temples in Ubud, we wanted to see more of Indonesian culture than just the temples – we were looking for a performance that would act as window into the entire country, not only Bali. A little bit of reading and a some surfing on the internet helped us pick the Devdan show and we decided to spend time watching the performances rather than having a romantic dinner. Don’t worry, the romance is still alive! 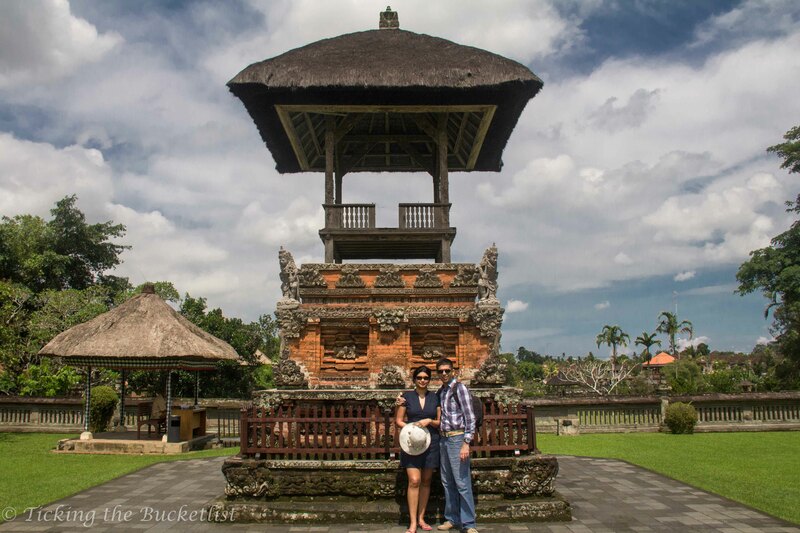 At Taman Ayun…the Royal Temple…the romance is sill alive! The underlying story that runs through the show is pretty simple – two little kids get lost in the Indonesian forests. As they try to find their family and friends,they end up meeting people from various different parts of the country. We really weren’t there to watch a play. We were there to tap to the beat of local drums and pick up a few steps of the local dance form. There were over a dozen traditional dance performances including the kecak dance, warrior dance and shadow puppet show. My favourite was the Saman Dance, also called dance of a thousand hands. You really need to check out a video of this dance on YouTube! Ankur’s favourite part was watching the skilled acrobat swirl around the stage while clinging on to a cloth band dangling from the ceiling. Ariel acrobatics sure are an awesome feature to watch. The performers’ skill left us open mouthed! It is 90 minutes of high quality entertainment by some top notch performing artists. Dancing with the ‘Real’ people! 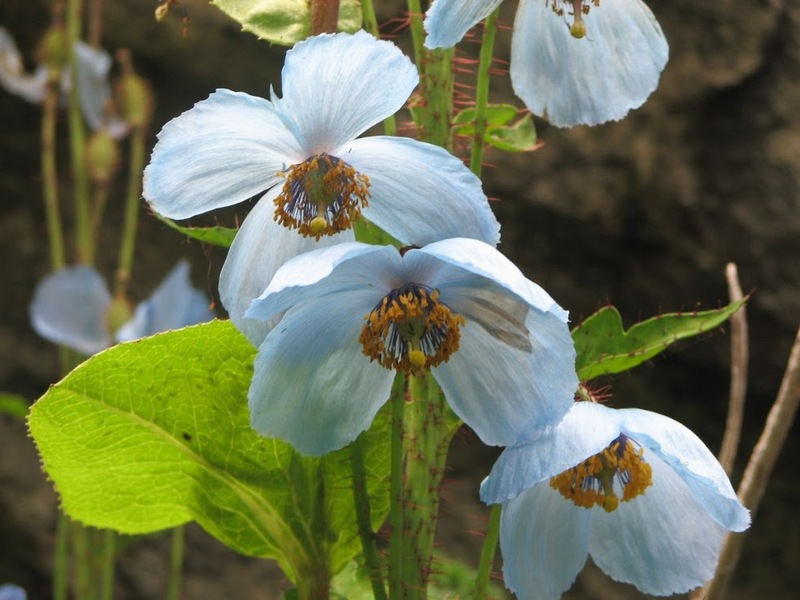 The Devdan Show is held on Monday, Wednesday, Friday and Saturday at 19:00 hours at Nusa Dua. Most local cab drivers are well aware of the location. However, you may not need to hail a cab as pick up from/drop to the hotel is included in the ticket price. 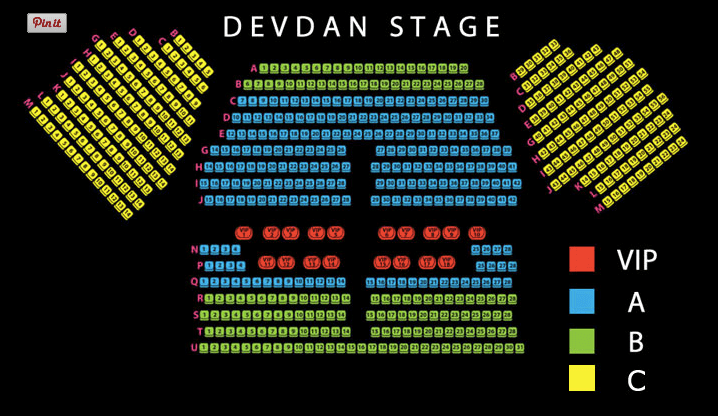 The Devdan Show can be booked online. The lowest category of seats (Category C) cost ~USD 40 while the VIP category costs ~USD 120. While USD 120 seems fairly steep, USD 40 (two of the lower categories) seems like a justified price for the show. Most hotels will book your seats, at the same cost, if you cannot book online. Cameras are not allowed inside the theatre. So leave the lens behind and enjoy the performance. All pictures in the post have been taken from the Devdan website. A small shopping arcade with a convenience store is located less than 100 meters from the store, in case you want to nibble on some packaged snacks before the show starts. We did not see any full service restaurants around. Feel free to send an e-mail in case you have any queries. Many thanks to the Devdan Theatre for hosting us. We would have eitherways gone to watch the show had we not been their guests!